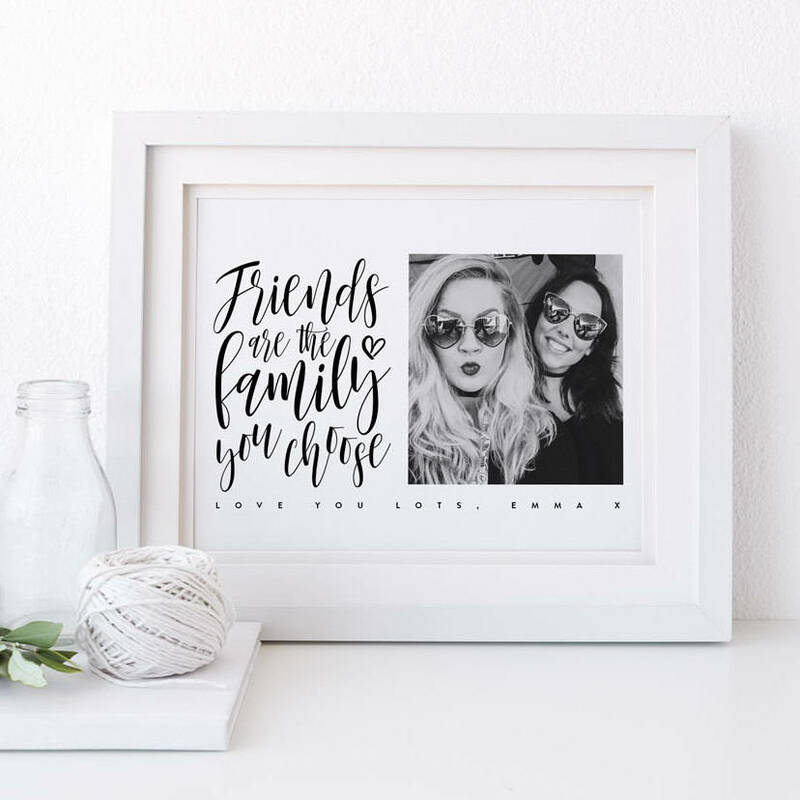 The perfect personalised best friend gifts - a quote, picture of you and your bestie and the option of adding your own personal message. This photo print would be the perfect gift for your friend for their birthday, christmas or just because. Simple, monochrome design featuring a calligraphy sentimental quote along with your chosen photograph. If you are having issues in attaching your image, and would like to email it you can do so to; [email protected] Please ensure you include your order number as the subject line, with a request for them to be uploaded to your order on your behalf.